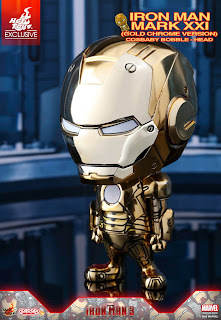 All the exclusive Iron Man Cosbaby sets to commemorate Hot Toys new flagship store opening in Shanghai China! Check out details below from HT FB page. 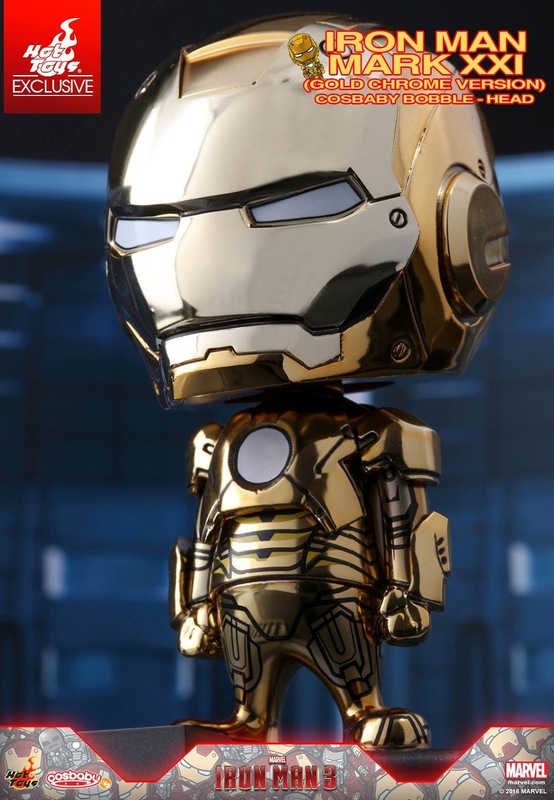 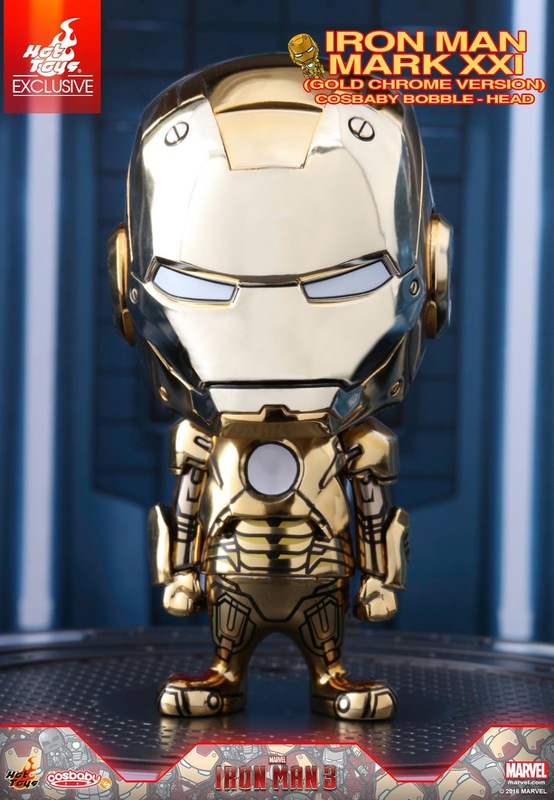 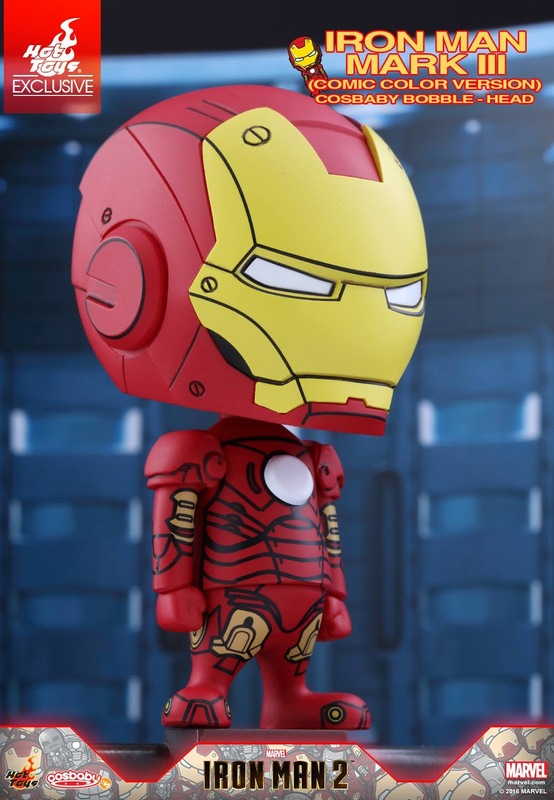 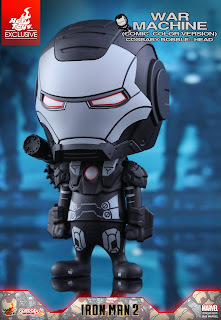 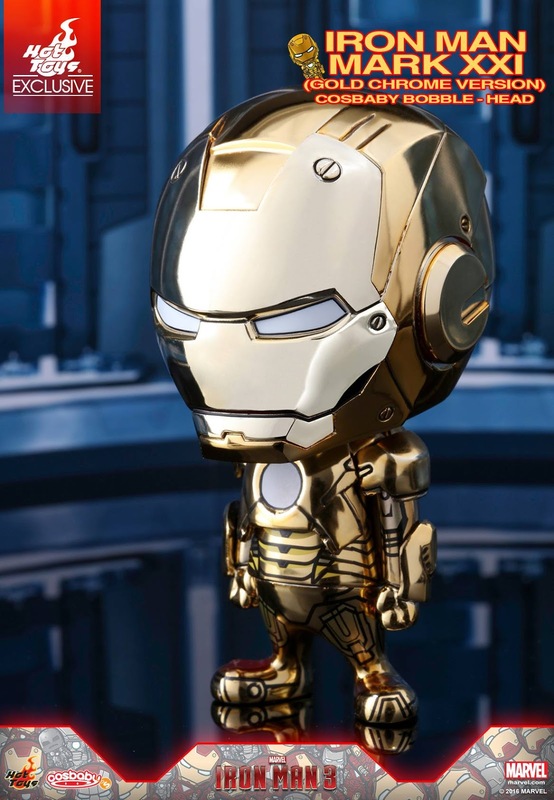 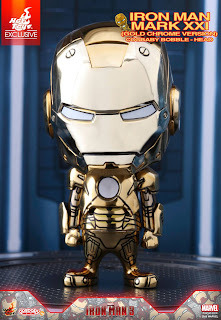 Iron Man 3 - Mark XXI (Gold Chrome Version) Cosbaby Bobble-Head. 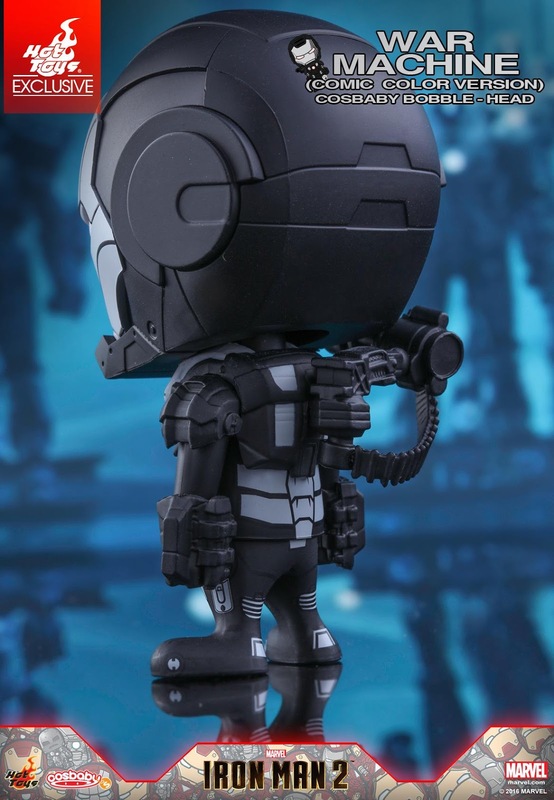 To celebrate this milestone, we are pleased to present an Iron Man Mark III and War Machine Cosbaby Bobble-Head collectible set specially designed in comic color version as an exclusive item firstly available at our new store! 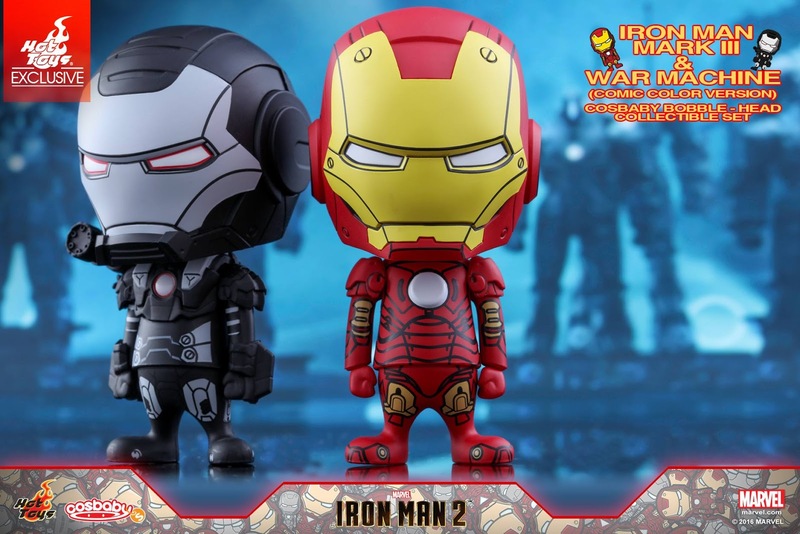 The Iron Man Mark III and War Machine Cosbaby Bobble-Head stand approximately 9.5cm tall with bobble-head function. 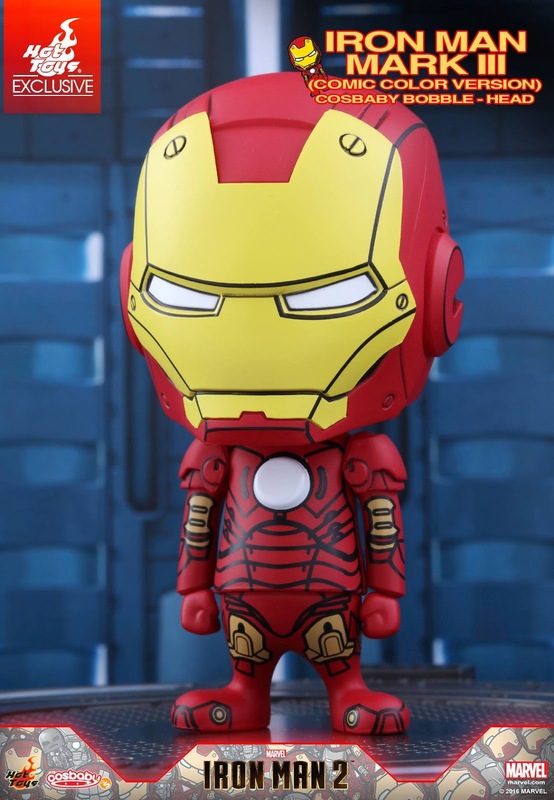 Their color schemes are specially designed after their iconic look in the comics! Cosbaby fans shouldn’t pass up on the opportunity to visit our new store and add this special Iron Man collectible set to your collection.